If you’ve been reading my blog, you know I LOVE Anastasia Beverly Hills. I’ve been using their highlighter every single day, I can’t put it down. 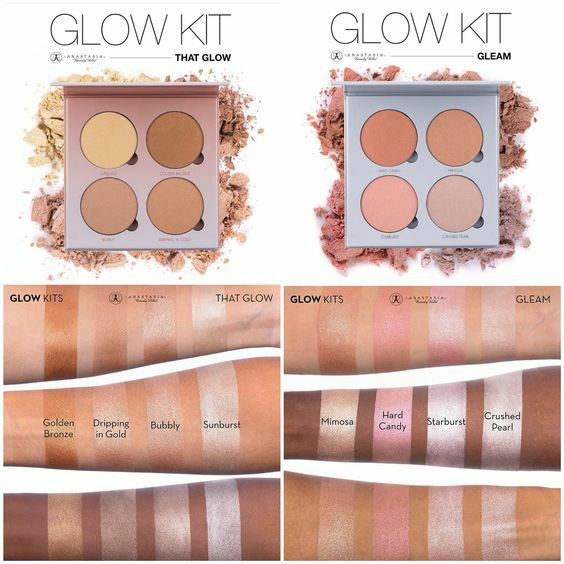 So when I saw that they came out with glow kits I started sobbing. I HAVE to own them. They are so beautiful! There’s 4 shades in one kit. The good news: there’s something for everyone, which I truly appreciate. I think I’ll be buying the one called “Gleam”, since I’m fair. If you’re tan or darker, the other one is perfect!